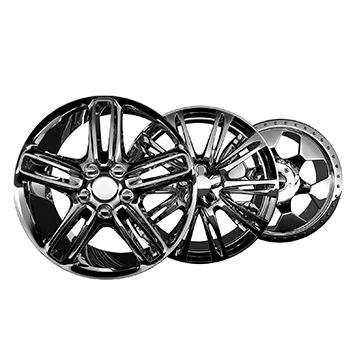 Tops Tire & Wheel has been in business since 1980 and serves the automotive repair, new tire, and new wheel needs of customers in El Paso, TX, Juarez, MX, Dona Ana County, NM, and surrounding areas. Founded in 1980, Tops Tire & Wheel is located at 1100 Texas Ave. in El Paso, TX as an automotive repair, tire, and wheel center. We have spent the last years growing our business while providing increasing auto services to satisfied customers. You can come see us in person, or schedule an appointment online today from the comfort of your couch. Tops Tire & Wheel started as a tire machine, RV, and concrete slab in 1980. Our TIA-certified tire dealership currently occupies a downtown acre from which we do repairs that include tire services, under-car services, level and lift kit installations, and more. Centrally located in El Paso, TX, Tops Tire & Wheel offers you knowledge, experience, and outstanding customer service. We're the home of tires, wheel and package deals. Competitive prices on tire brands like BFGoodrich®, Hercules, and Cooper. Passenger and light truck tires as well as ATV tires. Tire services including computerized wheel balancing, road force balancing, flat tire repairs, low-profile tire installations, tire rotations, and TPMS repairs. Quality repair services including brake repairs, wheel alignments, steering and suspension system repairs, axle repairs, CV joint repairs, and four-wheel drive system repairs. Free shuttle service in surrounding area. Waiting room with free coffee. Whether you are from El Paso, TX, Juarez, MX, Dona Ana County, NM, or another surrounding area, Tops Tire & Wheel should be your first stop when purchasing a new set of tires or seeking service. Contact us online or visit our auto service center today for service you can count on.